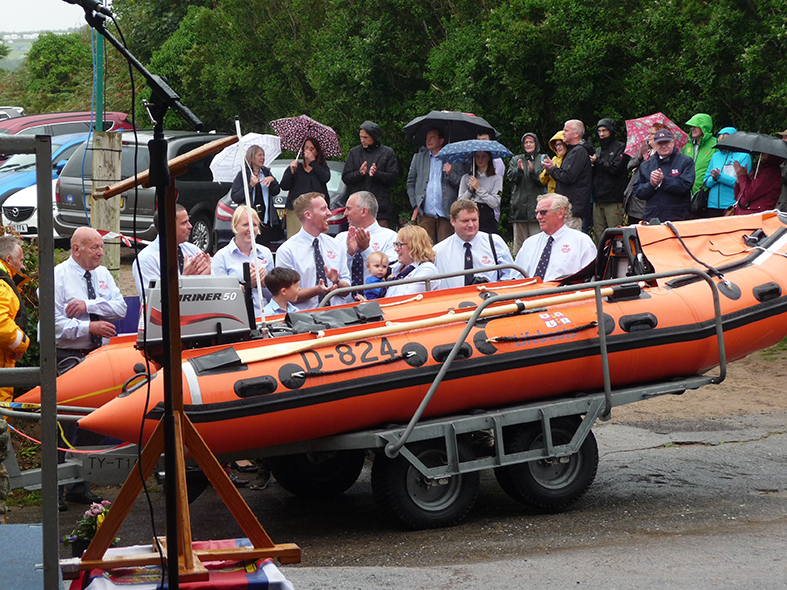 Rev Justin Davies has led the service of dedication and naming of Horton RNLI’s new D Class lifeboat, the Barbara Jane. The lifeboat was funded by Dave and Barbara Smithson who come from Torbay and are active fundraisers for the RNLI. 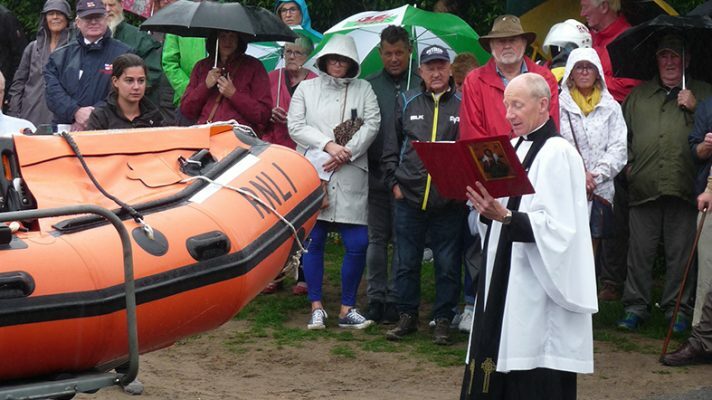 Rev Justin, Assistant Curate of South West Gower, is Chaplain to the RNLI Station at Horton – Canon Keith Evans is Chaplain at the Mumbles RNLI Station. 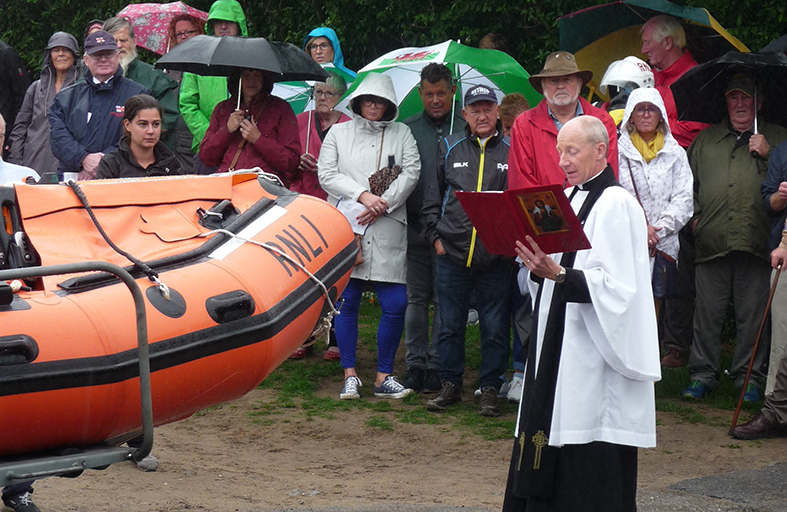 The ceremony was attended by Commodore Sir Robert Hastie, KCVO, CBE, KStJ, RD, JP, RNR and Port Eynon Lifeboat Station President. HM Lord Lieutenant of West Glamorgan D Byron Lewis KStJ, FCA, Nigel Bruce Lifeboat Station Chair, Lawrie Grove, Lifeboat Operations Manager Dave and Barbara Smithson and about 200 others. The Pheonix Choir of Wales sang at the event. This was posted on 21 August 2018.